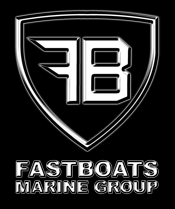 The 44′ MTI Fastboats.com Superboat is the finest in its class… Watch, veteran Randy Sweers campaign his powerboat from New York City to Key West, Florida. The video below will show you why the powerful LoriBlu boat is a fan favorite. LoriBlu, along with the rest of the MTI fleet, is preparing for the 2012 Super Boat racing season with the first race scheduled for April 13th! View the complete schedule here.